Today marks my 300th blog post! At milestones like these, I like to think about my blogging journey and reevaluate my priorities in writing here. I started this blog as a personal journal back in 2007. It wasn't anywhere close to organized, just random thoughts and details of my life. 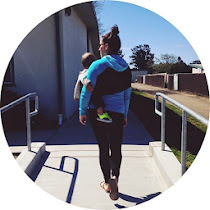 It wasn't until Miles was a few months old that I really became more of an organized blogger. I'm consistently surprised at how many people actually read (I mean, there are thousands and thousands of blogs out there on the Internet) and comment on the things I write about. I would say that the friendships I've made are one of my favorite aspects of blogging. You don't have to have identical lifestyles or backgrounds to build a great connection with new friends, wherever they may be in the world. I'm so happy to have met you girls (you know who you are)! As I look toward the future of my little corner of the blogosphere, I hope to get to know you all better and to share with you bits and pieces of my life and inspirations. Thank you so much for following along with me! Here's to another 300 posts! 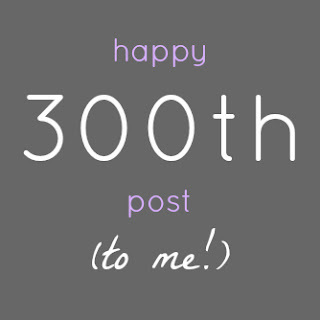 Congrats on the 300th post! It's great to celebrate these milestones and indeed, see how far you've come! I agree that in my 1st year of blogging, it was just randomness. And then I took a break after having J. Even after the break, I was still random and it wasn't until I started reading other blogs, commenting on them, and them commenting back (!) that I started to have better focus in writing and posting. I'm so glad to have met you, your WONDERFUL BEAUTIFUL blog, and can't wait to see how this place grows! I would have to agree...the kind support of so many fellow bloggers is THE BEST part about it all! There's no better online community of people in the world! Much love from your adoring husband! So proud of you and look forward to reading your next 300 posts!